their Scouts the importance of wearing the correct and complete uniform on all suitable occasions. meetings, unit outings, and any activities done with members of the den or pack. 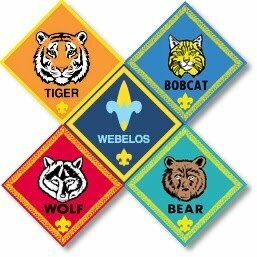 When playing sports, going to camp, or participating in other physical activities, a pack may opt to have the Cub Scouts wear an alternate uniform, such as an activity shirt. These are sometimes referred to as Class B Uniforms. Our Pack has a Class B uniform, which is available for purchase from Pack leadership. Any time you are uncertain about uniform regulations, ask your Cubmaster or Den Leader for guidance. 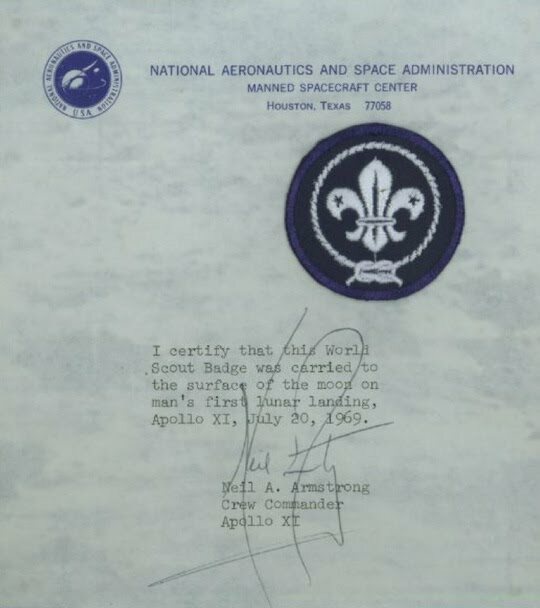 One of Boy Scouts' most famous Eagle Scouts, Astronaut Neil Armstrong, carried this World Scout badge with him to the moon!